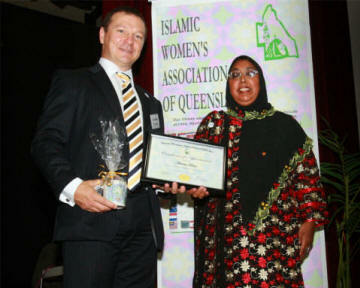 As part of its 15th Anniversary celebrations, the Islamic Women's Association of Queensland (IWAQ) awarded a number of Certificates of Appreciation to its workers and volunteers last night (Saturday) at a function held at the Clairvaux Mackillop College Hall in Klump Road. In one of his first forays into officiating at local Muslim community events as Member of Parliament, recently elected member for Moreton, Graham Perrett was on hand to do the honours on the night. 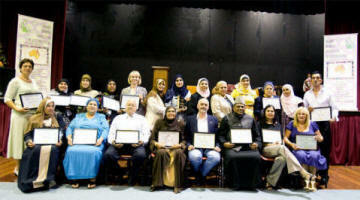 There is a buzz among the group of young ladies who call themselves Hope For Happiness, a fledgling community-based, not-for-profit organisation dedicated to raising funds for the advancement of local and international communities. HFH’s premier fundraiser - “The Hope For Happiness Fashion Event” , a charity fashion show and auction to be held in affiliation with Human Appeal International Australia (HAIA) – promises to be an elegant night of fun, food and that which all women love best…fashion! Featured in the fashion show will be some of Brisbane’s most prominent designer clothing brands such as Nelson Molloy, Principessa and Winnie’s Bridal, as well as local favourites such as Roopam and Rani Fashions. Monies raised through this event will be donated to support the “Gaza in Need” urgent appeal (see www.humanappeal.org.au for more information), launched recently by “Human Appeal International”. A representative from HAIA will be offering a presentation as part of the evening program. Some monies will also be donated towards educational projects in Iraq and Pakistan for disadvantaged children whose worlds have been destroyed by war and poverty. Please be assured that all funds will be spent directly for this purpose without any expense on administrators or organisers, who have all volunteered their time and efforts. Tickets are selling very fast, so please be quick to avoid disappointment. Nominations are now open for the Queensland Young Volunteer Awards 2008. In recognition of the important contribution young people make to our community, the Queensland Government has established the Queensland Young Volunteer Awards which gives eight awards of $2,000 to Queenslanders between 12 and 25 years of age. While recognising and rewarding outstanding volunteer efforts by young Queenslanders, the awards also strengthen the knowledge and understanding of volunteering by young people, the groups they support and their communities. Teachers, recognised community leaders and organisations that work with young people can nominate young volunteers in one of two categories - Individual or Group. To be eligible for an award, the nominee must reside in Queensland and the volunteering activities must have occurred in the last 12 months, while the nominee was aged between 12 and 25 years. Do you have someone in mind? Complete the attached nomination form and tell us in no more than three A4 typed pages about the volunteering activities of your nominated individual or group. Submissions close Friday, 22 February 2008. For further information please visit www.communities.qld.gov.au or contact the Office for Volunteering by email at volunteering@communities.qld.gov.au or telephone on 3247 9172. An information session on funding/grants offered by the Brisbane City Council in 2008 will be held on Thursday 7 February at 7 p.m., at 512 Stanley Street. South Brisbane. This session is organized by the Multicultural Development Assoc. with support from the BCC. Please Note: The grants closing due day is on the 25th February 2008. After years of watching Osama bin Laden in grainy television footage, US audiences have a chance to see a less chilling version of the al Qaeda leader - as a cartoon character dancing to rap music and a video game villain. That's how Morgan Spurlock, director of the 2004 documentary Super Size Me, depicts bin Laden before embarking on a mission to find the No. 1 US enemy in his film Where in the World Is Osama bin Laden? that debuted last week at the Sundance Film Festival. Bin Laden eludes the director - as he has the US military and the CIA - but what Spurlock finds during his tour of the Middle East is the poverty and repression that have fuelled radical Islamic militancy. Yet, many people he interviewed rejected the idea that bin Laden, who was behind the Sept. 11 attacks, has a firm grip on the region. Since Spurlock wants to face danger head-on, he undergoes training to work in a hostile environment and obtains clearance from his pregnant wife to travel everywhere except in Iraq. He goes to Egypt, Morocco, the Palestinian territories and Israel, where he is attacked by a group of ultra-Orthodox Jews. He visits bin Laden's homeland, Saudi Arabia, and asks shoppers in a luxurious mall if they know where he is. Spurlock accompanies US forces fighting the Taliban in Afghanistan and talks with locals who say they just want an end to war. In the end, he goes to Pakistan, where he is stopped in his tracks by growing violence in the tribal regions. Spurlock said he hopes audiences will see that people in the Middle East and Muslims share many of the same values as Westerners, a desire for democracy and better lives for their children. "We do kind of live in our own world and don't look beyond our own borders," said Spurlock. "I think the greatest thing that could happen is that we embrace the idea of a world community a little bit more." He said he doesn't want anyone to think he is mocking the serious issue with his use of video games, his dancing bin Laden and his entertaining interview style. 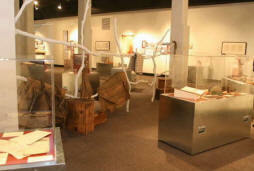 "The goal is to try to use humour and make light some really dense, heavy material," Spurlock said. AYESHA Siddiqa became a wanted woman in Pakistan almost as soon as this provocative book was published in April. In May, amid street protests against the sacking of Pakistani chief justice Iftikhar Chaudhry, the official launch of Military Inc, at an elite Government-controlled club in Islamabad, was cancelled at short notice. Several weeks later, Siddiqa received legal demands for 1 billion rupees in damages from a retired military commander and was warned that her life was in danger. The Government-run Associated Press of Pakistan described Siddiqa's book as "a plethora of misleading and concocted stories" that cast aspersions on "one of the country's most prestigious and honourable organisations". 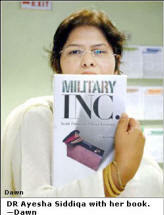 Although Pakistan's besieged President Pervez Musharraf is yet to address directly Siddiqa's revelations about the the military's lack of financial accountability, he branded the London-educated defence analyst a traitor during a television interview in October. 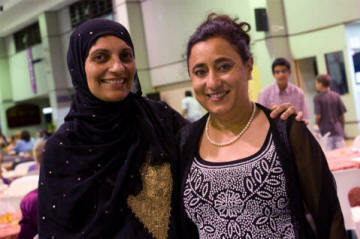 Siddiqa was out of the country and has yet to return. THE archbishop of Canterbury has called for a limited application of Islamic law in Britain - winning immediate praise from British Muslims. The unusual proposal from Britain's highest ranking Christian leader would, if adopted, allow British Muslims to choose to resolve marital and financial disputes under Sharia, or Islamic law, rather than through British courts. Archbishop Rowan Williams said in a radio interview with BBC radio that incorporating Islamic law could help improve Britain's flagging social cohesion. Williams said making such a move seemed "unavoidable". "Certain provisions of Sharia are already recognised in our society and under our law, so it's not as if we're bringing in an alien and rival system," said Williams, who gave a speech on the topic tonight. Prime Minister Gordon Brown's spokesman immediately rejected Williams' proposal. "The prime minister believes British law should apply in this country, based on British values," spokesman Michael Ellam said. 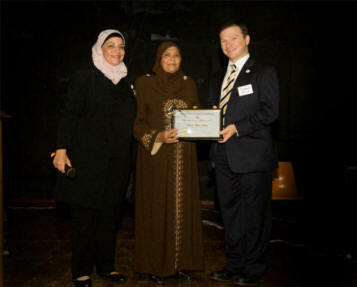 The idea was also rejected by Sayeed Warsi, the shadow minister for Community Cohesion and Social Action. She said all British citizens had to be subject to the same laws developed by Parliament. Williams said he was not advocating that Britain allow some of the more extreme aspects of Sharia, which has been associated with harsh punishments meted out by Islamic courts in Saudi Arabia and some other countries and also has been used to undermine the rights of women. "Nobody in their right mind" would want to see that, he said, calling for "a clear eye" when discussing Islamic law. Mohammed Shafiq, director of the Ramadhan Foundation, said the use of Sharia would help lower tensions in British society. "It would make Muslims more proud of being British," he said. "It would give Muslims the sense that the British respect our faith." Shafiq said it was important that non-Muslims in Britain understand that Williams is not suggesting Sharia be adopted for resolving criminal charges, but only civil disputes. This sort of conflict resolution is common in Muslim countries and is also used in some parts of Canada, he said. Both Shafiq and Williams noted that Britain already allows Orthodox Jews to resolve disputes under traditional Jewish law. Rodney Barker, a political science professor at the London School of Economics, said Williams' decision to address such a controversial issue was not surprising. But there are dangers involved in letting one community apply one type of justice while another uses a different system, said Fawaz Gerges, a professor of Middle East studies at Sarah Lawrence College in Bronxville, New York, who has written extensively about militant Islam. "It's a minefield," he said. "Where do you stop? Where do you set the limit? Britain is a nation of laws, once you say to a community that they can apply their own laws, you are establishing a dangerous precedent." He said the image of Sharia in the West has been badly distorted by the way it has been used by militants as justification for their goal of removing secular governments and establishing Islamic governments. Muslim, except for secular ones, who does not believe that the Sharia is sacred and that it encompasses all aspects of life." He said it would be impossible to apply all aspects of Sharia in a country like Britain. "It is extremely complex," Gerges said. "There is great disagreement among Muslim scholars about these laws that have come down in the last 1,400 years. But from a Muslim point of view, the application of some Sharia law is very desirable." 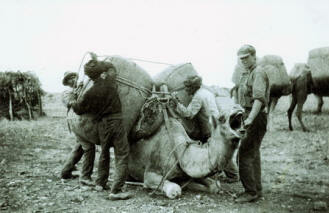 The authors of Australia's Muslim Cameleers, Philip Jones and Anna Kenny, estimate 2000 cameleers and 20,000 camels arrived in Australia between 1870 and 1920. These incomers formed a distinct strand in the hectic life of outback towns: "The cameleers spoke a mix of languages, reflecting their diverse origins. It is likely that Pashto, Dari, Baluchi, Punjabi, Sindhi and Urdu were heard in the streets of Kalgoorlie, Bourke and Marree." Afghan settlements sprang up on the fringes of the main inland centres. Rare photographs of one of these compounds show a jumbled living space of nomads' tents, stables and saddle stores. "Camel racing, St Patrick's Day sports, Coolgardie," reads one sublimely multicultural photo caption, and the faded image depicts a row of cameleers in their smartest outfits, lined up on their mounts beneath the sparse gum trees before a curious crowd. These Ghan towns, or camel camps, were transient places. The men were often away on long contract hauls; they brought no women with them, for they expected to return home at the end of their terms of employment. Eventually they built earth-walled mosques, raised vegetable gardens and planted date groves. Halal butchers and religious teachers arrived. One striking photograph captures the candid-faced Sayid Omar, spiritual leader of the cameleers of Cloncurry, seated in a wicker chair in his garden in 1910. On occasion, the Afghans chose to marry European or Aboriginal women: their descendants preserve some traditions of their ancestors in a scatter of remote settlements. Australia's involvement in World War I campaigns against Turkey heightened the sense of tension and estrangement felt by a few of the Afghans, who preserved a residual loyalty to the Ottoman empire. In Broken Hill in January 1915, a pair of cameleers waving Turkish banners staged a suicide attack on a train full of holidaymakers. Six people, including the assailants, died in the ensuing gunbattle. Employing the sublime logic of retribution, a vengeful crowd attacked the local German Club and burned it to the ground. The picnic train attack was a lone incident but it made disquieting news. With work drying up, many of the old cameleers left Australia in the 1920s, went on the haj pilgrimage to Mecca and returned to their own countries; a few score remained and lived out their days in the outback's dwindling towns. Nostalgic sadness filled their lives. When, in the summer of 1952, a young Bosnian immigrant named Shefik Tavalanic opened the gate of the Adelaide mosque in the city's southwest, he encountered an unexpected sight: there, sitting or lying on shaded benches, were six or seven ancient turbaned men. They were the last cameleers. The youngest of them was 87 years old, the oldest an impressive 117. In the glory days of camel transport it was their money that had helped raise the mosque where they lived out their twilight hours in obscure peace. It was June 8 last year when a young man from Peshawar in Pakistan, Bakhtiar Ali, paid a visit to the South Australian Museum. He was a grandson of the cameleer Abdul Bashir and had come to Australia to trace a block of land purchased by his ancestor in Coolgardie during the 1890s, but found instead, in another corner of the continent, a celebration of his heritage under way. And so, in the gentle light of time, wide circles come around at last and broken chains are joined up again. [Editor] The South Australian Museum’s exhibition on Muslim cameleers is at the National Library in Canberra until February 17, then tours regional centres until the end of June. To celebrate the magazine's 5th year anniversary, this edition's theme entitled "Best of the Best" discusses numerous issues and topics that readers have repeatedly asked for. The issue also comes with a free anniversary gift! Simply visit the website at www.messagemagazine.com.au to view the on-line version of the magazine and to find out more about how to claim your gift. Missed out on a passed issue? You can download previous editions of the Message Magazine from the website, www.messagemagazine.com.au. Subscriptions are also now available. AMARAH Inc and Muslim Aid Australia are inviting you to a charity dinner for Iraqi widows and orphans. As we are nearing the 5th anniversary of the invasion and occupation of Iraq, the humanitarian situation is extemely dire, particularly for the widows and orphans. Recent reports from Baghdad have estimated that there may be 2 million widows in very destitute situations; many who have had to turn to desperate acts to feed their children and ensure their survival. We cannot let this situation continue any longer. Please help us raise money to ensure that these mothers can provide food and shelter for their children. Join us on Saturday 15th March 2008 at Michael's Oriental, 6:30 pm for a 7 pm start. Our keynote speaker is the Muslim Aid Iraqi country director, based in Baghdad who will share with us first hand information as to what is happening on the ground. Seats are limited and tickets are available now for $50 per person and is tax deductible. 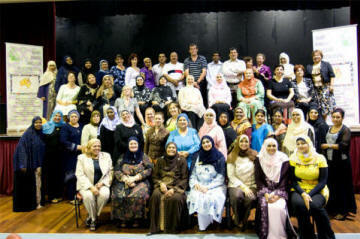 All proceeds will go to the Iraqi widows and orphan through Muslim Aid Australia. We look forward to seeing you on the night, Inshallah. For more details please see attached flyer. 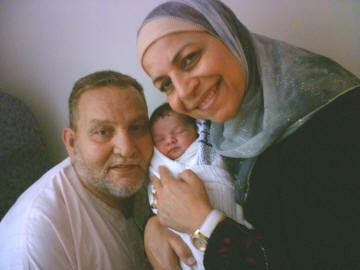 Amina Elshemy was born to Mahammad and Nazmin Elshemy. In front of a couple of young riders raring to go, Mustafa Ally of Crescents of Brisbane hands Annette Janetzki, Deputy Principal of the Kuraby State Special School, a cheque of $17,600 to complete the final phase of the Bike Track. The money was raised by Crescents of Brisbane at a dinner event held in November last year in concert with the Kuraby Lions and the Chinese Lions. "We truly appreciate the support Crescents (of Brisbane) have given the school and look forward to continuing our relationship," said the schools P&C President, Wayne Pascoe. "As you would be aware, facilities such as the bike track and it’s related equipment, would not be attainable but for the generosity of the community. The students have, and will, enjoy many hours of riding pleasure whilst learning skills most people take for granted," he added. Earlier his month a cheque of $2,000 was also presented to Gerrard Gosens for Vision Australia with funds raised at the same event. Contact Abdullah Ibrahim from ACCES Services INC on 0407698312 or 38089299. This free training program has the support of DEIR, DEWR, Boystown, CTC and businesses in the construction industry. The CCN Readers' Book Club: You are what you read! Using our book club you can see what books we at CCN have on our shelves, what we are reading and even what we and others think of them. You can even create your own book shelf, find out what your fellow CCN readers are reading, get and give recommendations for what to read next, create book lists, and even share your opinion on a book with us. Come see the books we have selected and see if we have any in common. Then pick our next book so we can all keep on reading. Q: Kareema, what would be some exercises that I can do as part of a circuit if I only had weights at home? To finish off your circuit, do some exercises using your body weight – eg. push-ups, tricep dips and the hover (lying on stomach, elbows underneath your shoulders, come up on your toes, back straight), hold this position for as long as possible and strengthen the core (abs and back muscles).. Remember, the key is to have fun and always aim for good technique! • Combine beans and onion in a large bowl with a cover. • Combine oil, vinegar, salt, pepper and sugar in a jar-shake well, pour over beans and mix well. Beans provide a major source of soluble fiber, which, when passing through the digestive tract grabs and traps bile that contains cholesterol, removing it from the body before it's absorbed. Source: South African National Halaal Authority (SANHA) e-Bulletin 21. Send an email to helpline@sanha.org.za to subscribe. I am Female student from Pakistan studying at Kelvin Grove Campus QUT looking for accommodation for me & 5 year old child, either independent or shared. For details contact 0421103437, or email sumairanasim@hotmail.com. The Bosniak Islamic Society of Queensland (2674 Logan Road, Eight Mile Plains, Brisbane) is well in the process of building its new Masjid. The shell of the new Masjid is now almost complete and funds are urgently needed to continue to finish the Masjid. Not everyone is given this rewarding opportunity to contribute to building of a new masjid. The Prophet Mohammad (PBUH) said that whoever builds a mosque for the sake of Allah, Allah will build a similar place for him in Paradise. 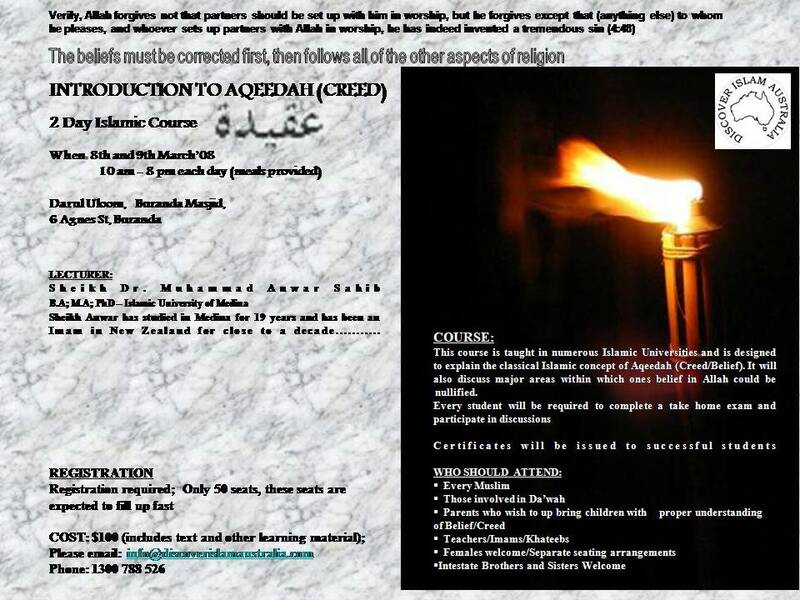 Or money orders can be sent to Islamic Society of Eight Mile Plains Inc, PO Box 279 Sunnybank Qld 4109. Modern-day Mula Nasruddin (at his PC): What are you looking at? Jallaluddin: I know your PASSWORD, hee, hee. Mula Nasruddin: Alright, what is my PASSWORD, if you saw it? 30 Sept. / 1 Oct.